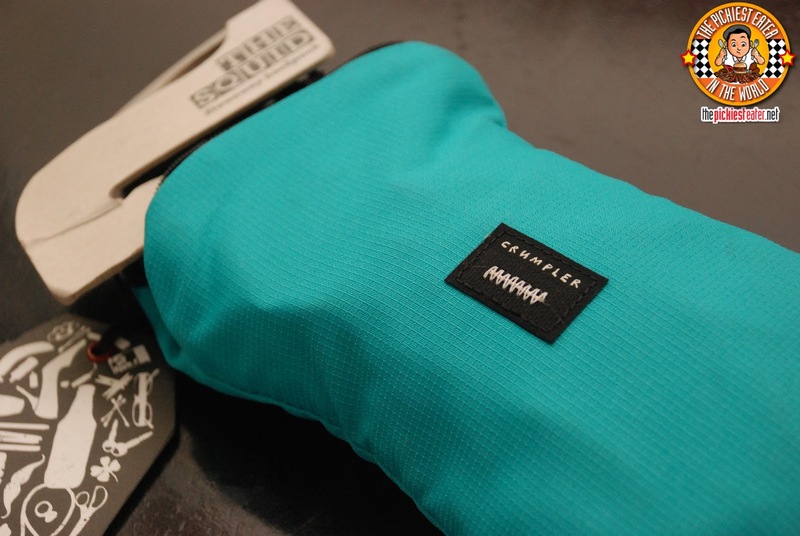 I'm giving away a SQUID Bag from Crumpler Philippines! Now you see it, now you don’t. 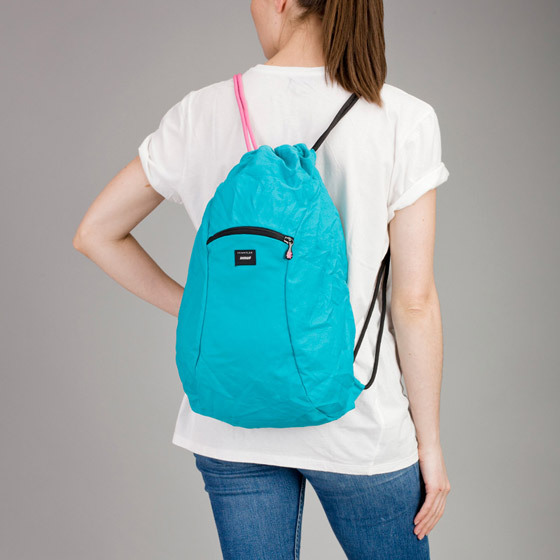 The incredible shrinking Squid is a stow-away drawstring backpack that appears on demand to accommodate your cargo carrying needs, then returns to the fold just as quickly. Simple and useful in equal measure, the Squid’s 20 litre interior and zippered front pocket combo is great for gym gear or groceries, super for schoolbooks or sports, and handy on holidays as a bag-within-a-bag back up for washing, toting, day packing or heavy duty free retail therapy. Pretty cool ain't it? I think this would be really handy! You can have this for free! Join the giveaway now! The Noche Buena dish I am looking forward to having this Christmas is mango float and maja blanca! I am looking forward to making and eating pork hamonado this Christmas. Looking forward to have fruit salad this Christmas! I really love ham and pasta !!!! during Christmas, my mom would make some pasta, both red and white sauce... and also would serve ham ! !It is one awesome meal!!!! Definitely Lechon! I can't wait to eat Davao Lechon! not only for Noche Buena but all through out the Christmas season! Looking forward to stuffing myself silly with Prime Rib, binging on Prosciutto Ham, Culatello, York Ham and fine cheese like Gorau Glas which I only get to eat during holidays... not to forget Quezo De Bola! :) Of course gorging on heavenly sugar laden treats too! YOLO! I'm looking forward for my mom's arroz valenciana & ham. looking forward for my husband delicious pasta dishes! I am looking forward for my Mama's Roast Beef with Mushroom. The Noche Buena dish I'm looking forward to having this Christmas is my mom's Pot Roast. 1) What Noche Buena dish are you looking forward to having this Christmas? Morcon, embutido,rellenong bangus = rapsa! looking forward to Mame's karekare and special chopsuey! Dessert! :) It's always different but there's always chocolate cake! I am looking forward to my tita's special palabok! My mom's vegetable Tacos and my Tita's Carbonara! ♥ Yummy! i'm easy -- all i want is ham!!! lots and lots of ham!!! Every year, we look forward to our dad's special saucy spaghetti and creamy fruit salad! looking forward to my mothers special pansit! Looking forward to a whole ham leg, pandesal, ensaymada and tsokolate batirol for our Noche Buena. I looking forward to spaghetti and bibingka for our Noche Buena. Mom always makes Roasted Beef with lots of mushrooms. I'm looking forward to eat a lot of pasta and ham! Mom's Korean Beef Stew and the traditional Lechon. I am looking forward to making and eating KARE- KARE AND SALAD FOR DESSERT this Christmas. I am looking forward to my mom's Graham cake and my all time favorite desserts! I am looking forward to my wife special spaketchup. I am looking forward eating LECHON this Christmas! Simple lang. The traditional home made ham and chicken sotanghon. Definitely ham with honey pineapple sauce. looking forward to my husband's chicken cordon bleu and kare-kare surely the best salo salo with my love ones. Looking forward to my ever favorite Christmas ham! The Noche Buena dish I am looking forward to having this Christmas is Christmas ham and carbonara. It wouldn't be complete without Ham and potato salad! honey glazed ham or lechon. Lasagna and Baked macaroni with basil on top. Nyum Nyum. Ham and Keso de Bola, Spaghetti , Cakes and Macaronni. Yan lage handa ni mama eh. My mom would always cook her delicious cordon bleu! chocolate revel bars, mud cake, and tons of buko salad!